Raised on a cattle ranch once shared by Mexican revolutionaries, Jan Barboglio developed an early appreciation for the rich tradition that surrounded her. "We grew up on the land, roaming a ranch where children search for old ammunition, coins, mule shoes, and other twisted metal artifacts from this time period," she explains. Today, Jan designs and oversees the production of a line of home accessories and decor that captures the allure and charm of Old Mexico. The products are one of a kind products offering distinct beauty. Slight irregularities and imperfections are embraced; no two items are identically the same. Variations of shading and texture are characteristic of the material and the finishing process. Jan - who insists that everyday living should be easy, useful and magical - lives in Texas, but her collection remains made by hand in her native country of Mexico. 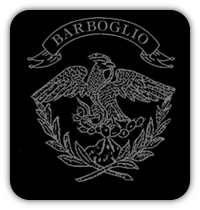 The Linen Tree has more Jan Barboglio items in stock than anyone else in Arizona.